I-400 after its capture, next to the submarine tender USS Proteus. Submarines of the Imperial Japanese Navy do not get very much attention. 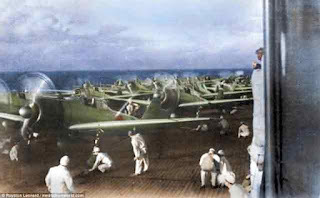 While they scored some notable victories - such as the sinking of the US fleets carriers USS Yorktown (CV-5) and USS Wasp (CV-7) - they increasingly were used to supply isolated garrisons on remote islands. 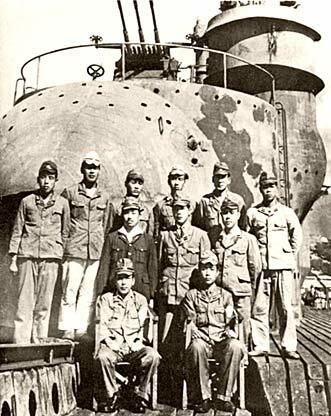 However, the Japanese had big plans for their submarine force, and for those they built really big subs: the I-400 class submarines. 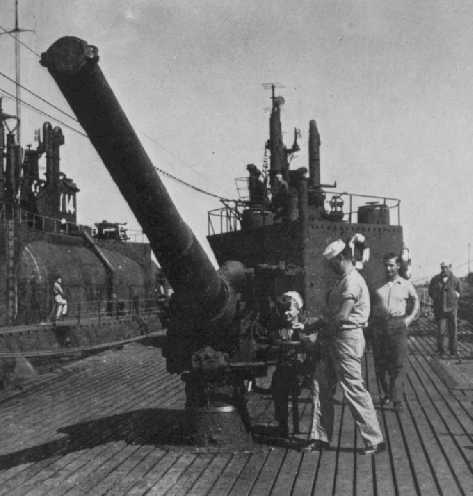 Deck gun of the I-400 being inspected after capture. It is a Type 11, 140 mm (5.5 in) deck gun positioned aft of the hangar. It had a range of 15,000 m (49,000 ft) (US Navy). Admiral Isoroku Yamamoto had spent time in the United States, and he knew it wasn't going to just roll over and surrender. He figured that the only way to force any kind of stalemate and negotiated peace would be to bring the war to the US mainland. Bombing New York was one of Hitler's never-realized dreams, but Yamamoto actually came up with a feasible plan to do it despite being on the other side of the world. In a nutshell, the plan was to carry bombers within striking range on a fleet of massive submarines. While the plan may sound far-fetched, in fact it was eminently doable and, under different circumstances, could have been carried out. However, first the fleet of submarines had to be built, and that would take some time. The hangar of the I-400, being inspected after capture (US Navy). Yamamoto submitted his proposal on 13 January 1942. The designers immediately went to work, and construction on the first one, I-400, was under way by 18 January 1943 at the Kure Dock Yards. 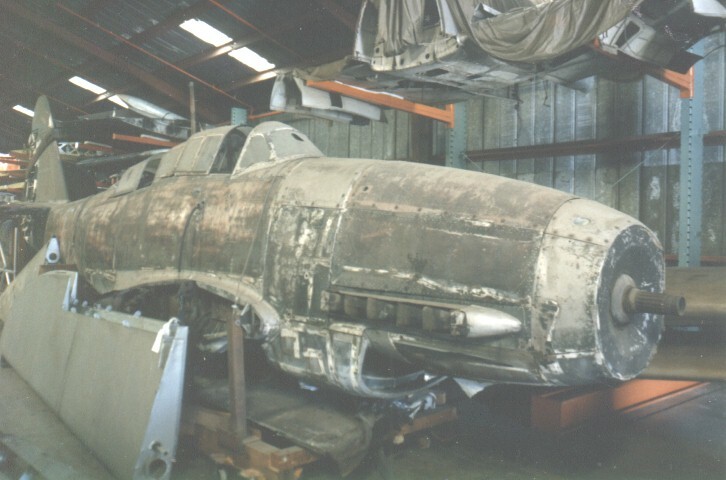 Yamamoto himself perished a few months later, but the project was in full swing and was not canceled. Without a forceful proponent like Yamamoto, however, the plans were gradually scaled back and then altered beyond recognition. 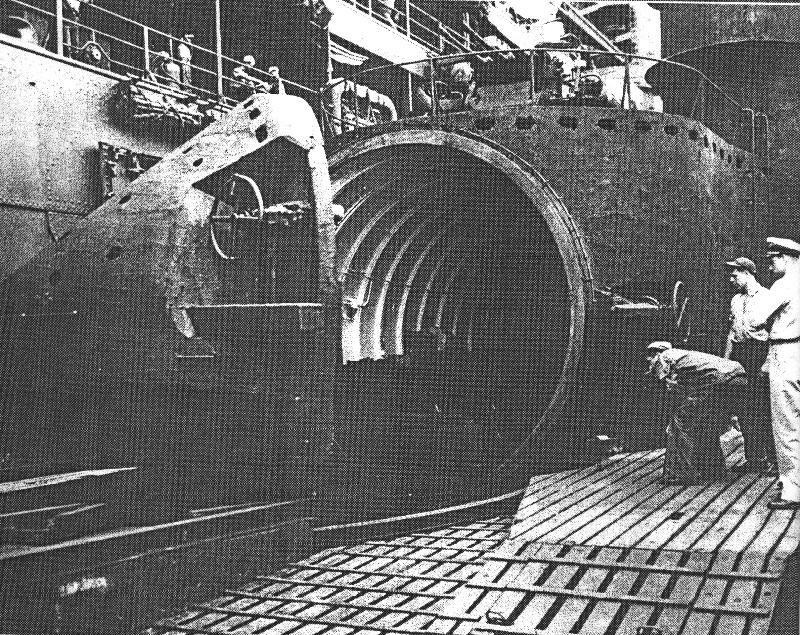 However, construction of several of the submarines continued because they could be used for something, even if bombing the US mainland was no longer a priority. There was no shortage of objectives, but the priorities kept shifting. Only one Seiran floatplane survived. Here it is before restoration. The I-400 submarines were over 120 meters long, roughly 400 feet, and displaced 5,900 t (6500 short tons). While that may not sound like much, it was the size of a typical freighter. A watertight aircraft hangar some 31 m (102 ft) long sat amidships, and it could carry up to three bombers (after enlargement). With eight torpedo tubes in the bow and three Type 96 triple-mount 25 m (1 inch) autocannon for antiaircraft defense, the I-400 subs were manned by 144 crew members. 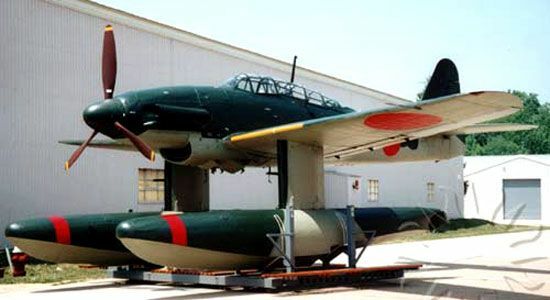 Typically, the submarines carried Aichi M6A Seiran floatplanes, and the advanced electronics on board included advanced Mark 3 Model 1 air search radar. Eventually, the I-401 was fitted with a German snorkel which permitted extended underwater cruising. The Seiran after full restoration. The I-400 submarines were beasts. Powered with four 1680 kW (2,250) engines and loaded with sufficient fuel to reach anywhere in the United States and return to Japan, they were fearsome weapons. However, they also posed huge targets, were under-ruddered and so had difficult maintaining a straight course, and could only dive slowly and at a shallow angle. Poorly designed inside despite their immense size, the I-400 submarines forced crewmembers to sleep in the passageways or wherever they could find room. Officers of the I-400 at the end of the war. With the New York attacks scratched as being overly ambitious (Yamamoto wanted 18 I-400 submarines, and that would have taken many years to assemble), the next target was the Panama Canal. This also was completely feasible, but even that fairly soft target ultimately became too strategic and not tactical enough to meet current needs. Finally, the situation became so dire that the plan was revised to use the giant submarines against the massive Allied base at Ulithi Atoll. There were reports that the US fleet was massing there for an invasion of the Japanese mainland, and at least it could be disrupted. Operations Hikari (light) and Arashi (storm) were devised for an attack by the only two I-400 subs available (I-400 and I-401) on the fleet as of the night of 14/15 August 1945. Preliminary preparations were set in motion, but the attack was canceled after the atomic bombs on Hiroshima and Nagasaki earlier that month, the Soviet invasion, and the resulting Japanese surrender. I-400 after being rediscovered off Oahu by the Pisces deep-sea submarines of the Hawaii Undersea Research Laboratory in March 2005 at a depth of 820 metres (2,690 ft). Three I-400 submarines were completed (one, I-402, only for cargo work), and the Americans took them after the surrender for study. The Soviets, however, also wanted to inspect them, and the US did not want them poking around these massive submarines. 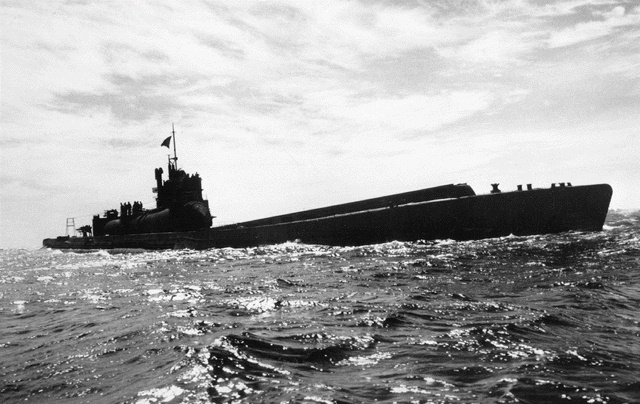 Accordingly, the US Navy instituted Operation Road's End (similar to Operation Deadlight), in which the submarines were scuttled (torpedoed) either off Fukue Island or, for a few, off Kalaeloa near Oahu in Hawaii after some further clandestine study. The precise locations of the wrecks were never recorded so that the government could honestly tell the Soviets that it did not know where they were, but they all have been re-located in recent years. I-400 Captured at 18:00 hrs. 27 August 1945. Escorted by destroyers U.S.S. Blue and U.S.S. Mansfield, from U.S. Carrier Div. Three.